Μέλος της εξεταστικής επιτροπής του European Board of Urology (EBU) από το 1997, 2008 – 2011 Πρόεδρος της εξεταστικής ομάδας εργασίας της επιτροπής αυτής. Υπήρξε για επτά χρόνια μέλος της επιτροπής της European Association of Urology (EAU) που επεξεργάζεται και τελικά εκδίδει οδηγίες (Guide-lines) προς όλους τους Ευρωπαίους Ουρολόγους πάνω σε θέματα που αφορούν την καλοήθη υπερπλασία του προστάτη. Υπήρξε επίσης, μέλος της European School of Urology (ESU) και της διοικούσης επιτροπής της European Society of Urological Technology (ESUT). Μέλος της εξεταστικής επιτροπής της European Board of Ourology (EBU) από το 1997. 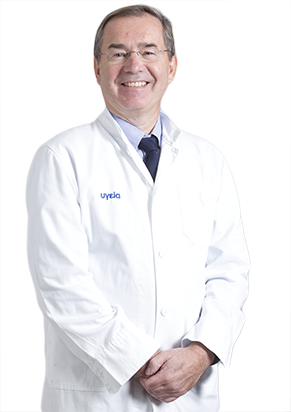 Η επιτροπή αυτή απονέμει τον τίτλο του Fellow of the European Board of Urology (FEBU) και διοργανώνει κάθε χρόνο γραπτές και προφορικές εξετάσεις. Μέλος του European School of Urology (ESU). Πρόκειται για μια Ομάδα Ευρωπαίων Ουρολόγων που αποστέλλονται από την Ευρωπαϊκή Ουρολογική Εταιρεία (EAU) σε διάφορα μέρη του κόσμου, όπου συμμετέχουν σε εκπαιδευτικά σεμινάρια. Μέλος της διοικούσης επιτροπής της European Society of Urological Technology (ESUT). Μέσα στα πλαίσια της EAU η ομάδα αυτή ασχολείται με τις εφαρμογές της σύγχρονης τεχνολογίας στην Ουρολογία και διοργανώνει κάθε χρόνο ένα συνέδριο πάνω στο θέμα αυτό. Cordeiro ER, Anastasiadis A, Bus MT, Alivizatos G, de la Rosette JJ, de Reijke TM. Is photodynamic diagnosis ready for introduction in urological clinical practice? Expert Rev Anticancer Ther. 2013 Jun;13(6):669-80. doi: 10.1586/era.13.60. PubMed PMID: 23773102. Mamoulakis C, Skolarikos A, Schulze M, Scoffone CM, Rassweiler JJ, Alivizatos G, Scarpa RM, de la Rosette JJ. Bipolar vs monopolar transurethral resection of the prostate: evaluation of the impact on overall sexual function in an international randomized controlled trial setting. BJU Int. 2013 Jul;112(1):109-20. doi: 10.1111/j.1464-410X.2012.11662.x. Epub 2013 Mar 12. PubMed PMID: 23490008. Ploumidis A, Skolarikos A, Sopilidis O, Chalikopoulos D, Alivizatos G, Wiklund P. Sequential robotic-assisted bladder diverticulectomy and radical prostatectomy. Technique and review of the literature. Int J Surg Case Rep. 2013;4(1):81-4. doi: 10.1016/j.ijscr.2012.10.002. Epub 2012 Oct 8. PubMed PMID: 23123421; PubMed Central PMCID: PMC3537925. Mamoulakis C, Schulze M, Skolarikos A, Alivizatos G, Scarpa RM, Rassweiler JJ, de la Rosette JJ, Scoffone CM. Midterm results from an international multicentre randomised controlled trial comparing bipolar with monopolar transurethral resection of the prostate. Eur Urol. 2013 Apr;63(4):667-76. doi: 10.1016/j.eururo.2012.10.003. Epub 2012 Oct 12. PubMed PMID: 23102675. Anastasiadis A, Cordeiro E, Bus MT, Alivizatos G, de la Rosette JJ, de Reijke TM. Follow-up procedures for non-muscle-invasive bladder cancer: an update. Expert Rev Anticancer Ther. 2012 Sep;12(9):1229-41. doi: 10.1586/era.12.98. Review. PubMed PMID: 23098122. Spyridopoulos TN, Dessypris N, Antoniadis AG, Gialamas S, Antonopoulos CN, Katsifoti K, Adami HO, Chrousos GP, Petridou ET; Obesity and Cancer Oncology Group. Insulin resistance and risk of renal cell cancer: a case-control study. Hormones (Athens). 2012 Jul-Sep;11(3):308-15. PubMed PMID: 22908063. Mamoulakis C, Skolarikos A, Schulze M, Scoffone CM, Rassweiler JJ, Alivizatos G, Scarpa RM, de la Rosette JJ. Results from an international multicentre double-blind randomized controlled trial on the perioperative efficacy and safety of bipolar vs monopolar transurethral resection of the prostate. BJU Int. 2012 Jan;109(2):240-8. doi: 10.1111/j.1464-410X.2011.10222.x. Epub 2011 May 9. PubMed PMID: 21557796. Antoniewicz AA, Alivizatos G, Zapala L, de Reijke TM. GreenLight™ laser in the treatment of lower urinary tract symptoms due to benign prostatic enlargement. Expert Rev Med Devices. 2011 Mar;8(2):139-47. doi: 10.1586/erd.10.91. PubMed PMID: 21381906. Skolarikos A, Laguna MP, Alivizatos G, Kural AR, de la Rosette JJ. The role for active monitoring in urinary stones: a systematic review. J Endourol. 2010 Jun;24(6):923-30. doi: 10.1089/end.2009.0670. Review. PubMed PMID: 20482232. Bamias A, Aravantinos G, Kastriotis I, Alivizatos G, Anastasiou I, Christodoulou C, Gyftaki R, Kalofonos HP, Dimopoulos MA. Report of the long-term efficacy of two cycles of adjuvant bleomycin/etoposide/cisplatin in patients with stage I testicular nonseminomatous germ-cell tumors (NSGCT): a risk adapted protocol of the Hellenic Cooperative Oncology Group. Urol Oncol. 2011 Mar-Apr;29(2):189-93. doi: 10.1016/j.urolonc.2009.01.017. Epub 2009 Apr 11. PubMed PMID: 19362863.